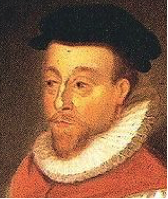 Orlando Gibbons was an English writer and musician who lived during the late Tudor and early Jacobean periods. He was an accomplished keyboard player, specialising in the virginal and organ, and he established himself as England’s leading polyphonic composer during the early part of the 17th century. He was born in December 1583 in Oxford and his father, William, was one of the town’s official musicians known as “waits”. Orlando studied at Cambridge university, but was only able to do as a “sizar”, meaning that much of the costs of his tuition, accommodation and meals would be paid for by the university. He may have had to work a certain number of hours to compensate for this “grant”. He was a member of the choir at Kings College, singing with them for two years from 1596, and he was occasionally paid for music that was written for special occasions. He gained his Bachelor’s degree in music in 1606. Verse anthems composed by Gibbons were usually of a fairly complicated nature. A good example was This is the record of John, a piece that requires alternation of voices using full choir, tenor and countertenor at different points. Similarly, he produced highly complex pieces of music for the keyboard, showing that he had full command of the three- and four-part counterpoint method. Gibbons lived a fairly short life so perhaps his music was more appreciated after he had died. In fact, not much of his work was published during his lifetime. The 20th century Canadian pianist Glenn Gould, for example, described him as his favourite composer and even compared the work of Gibbons to that of Anton Weber and Beethoven. He was deeply moved by it. Orlando Gibbons died on the 5th June 1625 and was buried at Canterbury Cathedral.